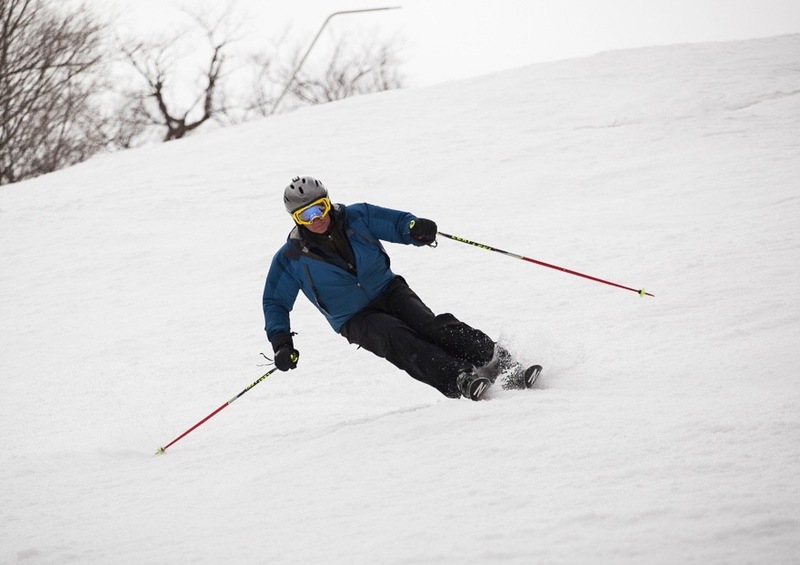 No two ski seasons are ever the same, even if the locations remain a constant. I spent another closing day at Plattekill this year, but I didn’t wear my Yankees hat, or even ski in a t-shirt like so many other times. On our first ride up, the trees were encased in thick ice, evidence of a freezing mist that had blown through a couple of days earlier. Conditions started relatively fast but were quick to soften. There was no White Ribbon of Death, the snow was simply too forgiving. Beyond the unseasonable weather, it was classic Plattekill. We were practically alone on the hill. The other cars in the lot certainly didn’t add up to lift lines or entangled skiers on the slopes. We started on the triple and skied each run, to say goodbye to them all, saving Blockbuster for last. As we finished up our sweep, we ran into Laszlo, who had a similar plan and took a run with us. Without snow in backyards, or sun on the deck, the crowds had spoken: the season was over. It was a shame, of course. Coverage remains good on most slopes, and I believe that several mountains could stay open for another week. We searched for and found another way to say goodbye to winter on our return trip. After pinpointing a fire-tower on the summit of a mountain near Arkville, we hiked to get a last look at the still snowy summits. Although the 3500 foot peaks are still covered, winters grip continues to loosen. Balsam Lake Mountain was only slightly less crowded than the ski resort in Roxbury. We passed two couples snowshoeing and walking their dogs, but the fire tower was all ours. To the northwest we saw Plattekill, where the day’s adventure started. Slide Mountain was to the east over Double Top. Civilization was far from view on the summit of one of the lesser traveled peaks in the Catskills. Spring, on the other hand, was easier to find. Woodpeckers flew hurriedly through the forest, farmers were getting ready, and the snow line is steadily marching up from the valleys to the summits. Southern exposures were bare. Still, the ample light made it a memorable day. Warmer temps and longer hours, puts other two sport days on the horizon, and takes the edge off. Swimming and biking, climbing and camping, maybe these are the things others have been dreaming about for months. Maybe it’s not completely over in the Catskills. Plattekill needs help with a little maintenance this weekend to get the bike park in order. The lifts will be turning anyway and volunteers may be able to grab a few more lift assisted turns. 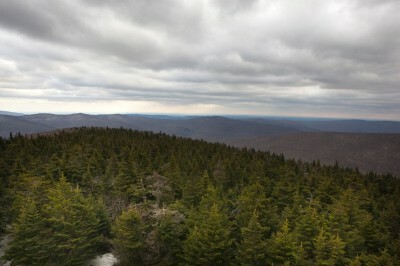 Check Plattekill.com for more details, and NY Ski Blog for more summer adventures in the mountains. Nice tribute to wonderful Plattekill and the underappreciated mountains of the Catskils. I completely agree with Zeb’s comment above. 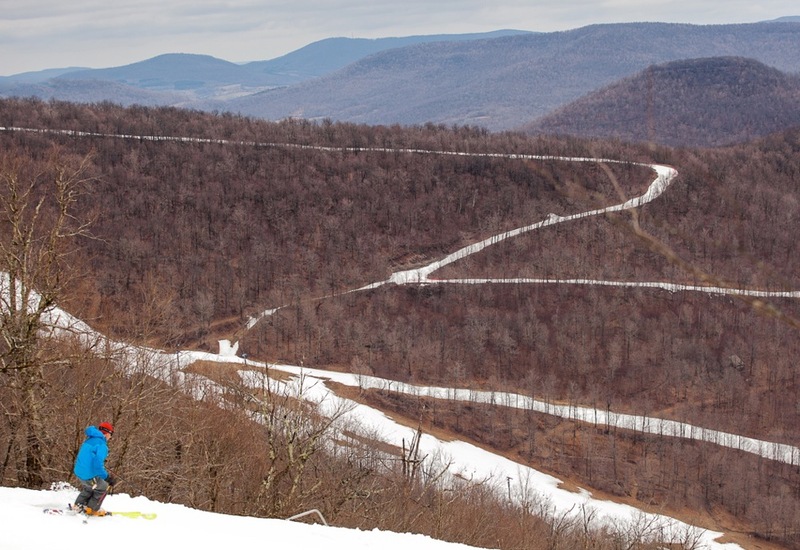 Though I have never skied at Plattekill, and there is a good chance I never will, I know that it is a place I would feel right at home. SBR, I think you are right. It’s got everything you love about your local hill and some rockin vert to boot. Congrats to Plattekill on the latest closing in the mountains history. 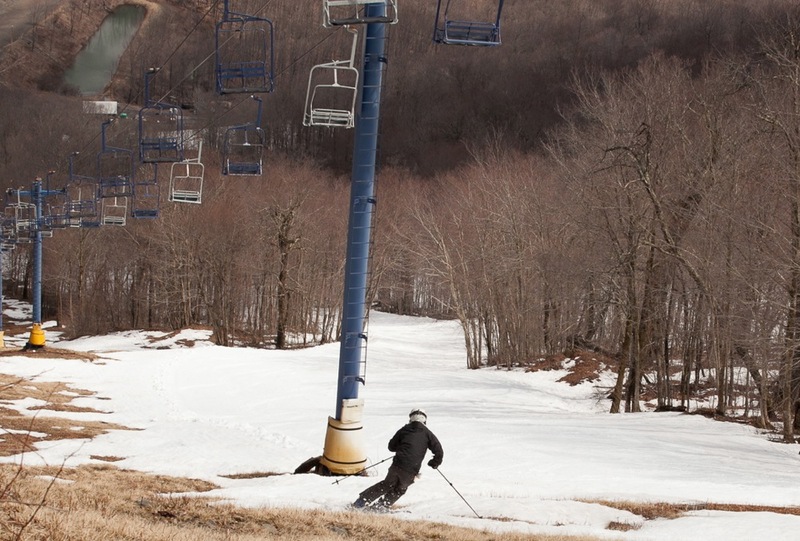 After skiing Plattekill, the law of inverse popularity becomes perfectly clear. Congratulations to the Plattekill family!